Back On My Feet is a nationwide program to promote self-sufficiency in the lives of those experiencing homelessness. We are very pleased to have this important ministry as part of our congregation. 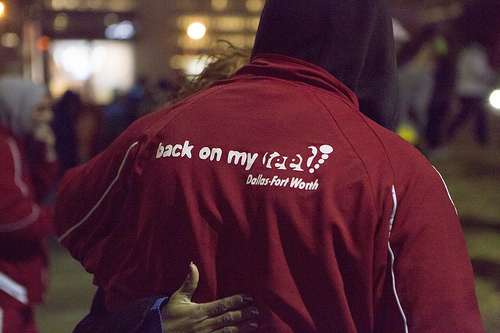 The Dallas chapter of Back on My Feet uses our facilities monthly to host education programs on financial literacy, resume writing, interview skills, and more. For the last five years, Christ Lutheran Church has hosted the Back on My Feet Thanksgiving dinner, a holiday feast enjoyed by church members, Back on My Feet clients, and organization staff and volunteers. Contact Melissa Dvorocsik at melissa@spyglasslp.com for more details from Christ Lutheran Church.